Britain’s counter-terrorism chief Neil Basu says he can’t guarantee authorities will catch those responsible for the nerve agent poisoning of the Skripals and Dawn Sturgess, and is even unable to say if both incidents are linked. 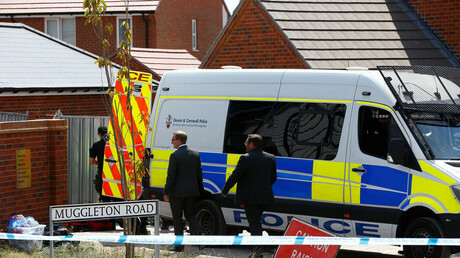 Sturgess and Charlie Rowley reportedly fell ill after coming into contact with Novichok on June 30, and Sturgess died days later. This is the same nerve agent believed to have poisoned Sergei and Yulia Skripal in March. Public Health England have repeatedly said there is no wider threat to the public arising from the Skripal case. “At this stage, we cannot say with certainty that both the incident in March and this latest incident are linked,” Basu told attendees at Tuesday evening’s community meeting. Despite the admission, and acknowledging that the investigation “must be led” by evidence and “facts alone,” the Scotland Yard officer added that he believed it to be “implausible” that there would be two separate incidents in one small English county. He said scientists would continue to establish if the nerve agents are from the same batch, but that the Defence, Science and Technology Laboratory at Porton Down are “already crystal clear” that both are Novichok. Police believe Sturgess and Rowley came into contact with a container holding nerve agent inside and are trying to find it. They have not found any evidence that they visited any of the sites which were decontaminated following the Skripal poisoning. Despite the British government blaming Russia, police have not named suspects in either poisoning incident. In May, the UK’s national security adviser Sir Mark Sedwill said authorities did “not yet” know who was responsible for the Skripal death, and no updates have been offered since.